We all have a body, but how many of us really know how to be embodied? For most of us, the body is something we use, and knowing how to speak its language and listen to it are not high on the priority list. Yet when we have an illness, relearning how to be a body can be a powerful form of medicine. Jamie McHugh has worked for decades distilling the wisdom of a variety of body-mind modalities into Somatic Expression®, his unique approach to somatic education and expressive arts that supports you to explore your inner ecosystem and your relationship to the outer ecosystem. 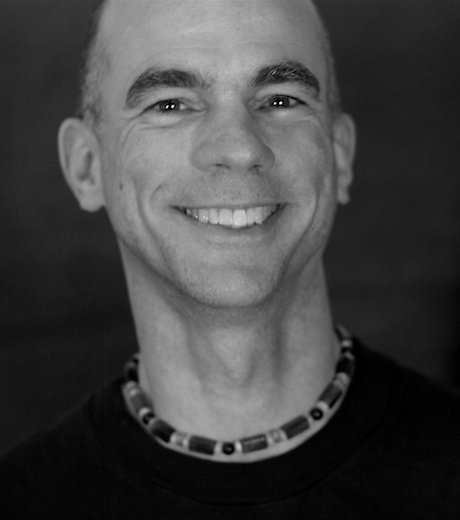 Jamie McHugh, RSMT, MA is a Registered Somatic Movement Therapist and a Fine Art Photographer. He is the creator of Somatic Expression®, an innovative approach to somatic education that enables people to incorporate bodily intelligence into their daily lives—teaching how to mindfully and easily move, breathe, sit, and stand. A short audio meditation and handout on three-dimensional breathing, an exercise that will enhance awareness of your breath and increase vitality. If you liked this episode, please subscribe to the podcast through iTunes, and consider leaving a rating and review! Reviews and subscriptions help boost the standing of the podcast in iTunes, which helps others who might benefit from the information to find it and join the adventure. See this post for instructions on how to subscribe and leave a rating/review.